The Worst Junk in the World — Ginger writes. I don't like to imagine that I'm writing junk, but some days it feels like that. Just as on some of our at-home school days, we are barely making it, slogging through, and doing the work without delight. Other days the spark is there, and we cruise through, and find ourselves curious and the lessons compelling. It is not all or nothing of anything in life, and that is my lesson to learn. If I have nothing to say, I must practice saying my nothing well. I could be silent and think, Who cares if I don't blog today? Or Who cares if we skip spelling or the bird lesson this time? I try not to do that since a commitment to the small things matters. I dig deep one blog post at a time, one homeschool day at a time, and find that the practice is the gamechanger. My list for today says "Blog," and though it feels as mundane as washing sheets or making kefir, my attention has to be coached in a direction and told to practice. We finished school at 5pm yesterday, not without some breaks and not without some tears. It was a relief to be done, just as it will be a relief to finish my writing block today. My life feels rather uneventful in terms of stories to share, which reminds me I might need to venture forth more. I did drive to Atlanta last weekend for my friend Jaime's 40th birthday party. I loved my time in the car with country music and phone calls with a couple friends. I got to catch up with some old friends at the party, and I also had an experience of life on the fringes through the eyes of a sick friend who flew to town for the party but could not join us. It is a detailed, disastrous story that doesn't bode well for the blog. I left the party with a need to process what happened and after talking it through with TJ, I came to see that at least I lived out a real piece of life, even if I don't like the part I played and it felt like the worst junk in the world at the moment. I am not a dramatic person, and I know that sounded dramatic and mysterious. It was just a sad, hard moment but there are also many happy memories from the party on Saturday and I am thankful I took the time and effort to go celebrate Jaime. I have happy memories from our hard homeschool day yesterday too. It goes to show yet again that life is middle ground mostly. Gretchen Rubin said, in Better Than Before, that "Everything sounds more high-minded when described as a practice." 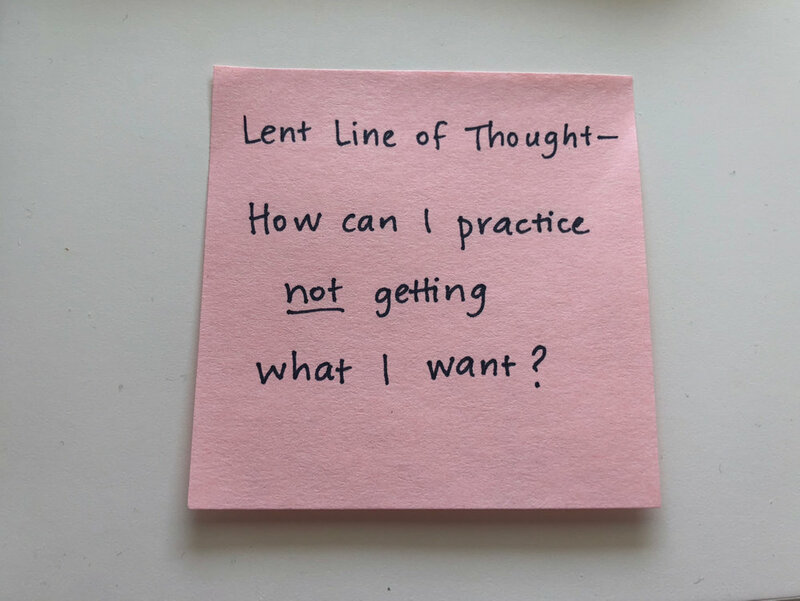 I don't know if I would use the word high-minded to describe how a Lent practice will feel, but it sure feels good to be over and done with the practice of writing for today, and to move on now to the practice of picking up the kids and talking about school on the ride home.